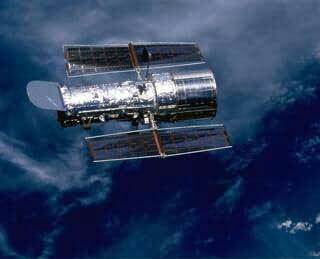 It is hard to believe that the Hubble Space Telescope, a history making astronomy tool, has already been in space for 16+ years (first launch in April 24, 1990). Although due to the initial optics problem it was not really functional until the NASA space shuttle corrected its lenses on a mission in 1993. It has served the astronomy community with amazing finds that advanced our knowledge of the universe around us, including the planets in our own solar system. Due to various problems with on board batteries and gyroscopes the Space Telescope has not been in service since 2003, after the NASA space shuttle Columbia disaster. When all space shuttles are grounded and NASA decided that a manned mission to the space telescope is too dangerous. Today NASA has decided to pencil in a mission to service the Space Telescope with a Space Shuttle mission in 2008. This should extend the service life of the Space Telescope to 2013, without the mission it will crash into the sea sometime after 2010. Sometimes it is very hard to believe that within my life time so much technology advances had transpired. Making me think what will another 16 years bring.